Your gut. You probably don’t think much about the parts of your gastrointestinal tract (GI tract/gut) unless you experience symptoms like abdomen pain, constipation, or bloating. But did you know that your gut plays a major role in your overall health and well-being? At Julian Healthcare, we have seen miraculous results in lives by helping people get their guts healthy. Since 70-80% of our immune system is dependent on proper gut microbiota and balance, it is important to keep your gut healthy and balanced. Not only can this approach help you avoid colds, influenza, and other common illnesses, it can also help prevent various forms of cancer. Infants are born with a virtually sterile GI tract. When they travel through the mother’s birth canal, they get exposed to bacteria which is normal and healthy. C-section babies do not have that advantage. What babies are fed their first year of life (breast milk/formula) makes an impact on the gut bacteria for life. Other things that influence this early development are the administration of antibiotics. Antibiotics kill the bad bacteria (like the bacteria that causes ear infections) but also the beneficial “good” bacteria in the gut. It is estimated that in adults it can take up to four years to repopulate the gut with appropriate bacteria after one round of antibiotics. As we continue in life, other factors contribute to the health of our gut microbiota. The major influence is our diet. Processed foods and sugars and low intake of vegetables and fruits decrease the “good guy” bacteria and without the defense of them, “bad” bacteria, viruses, fungus (yeast), and parasites can grow. 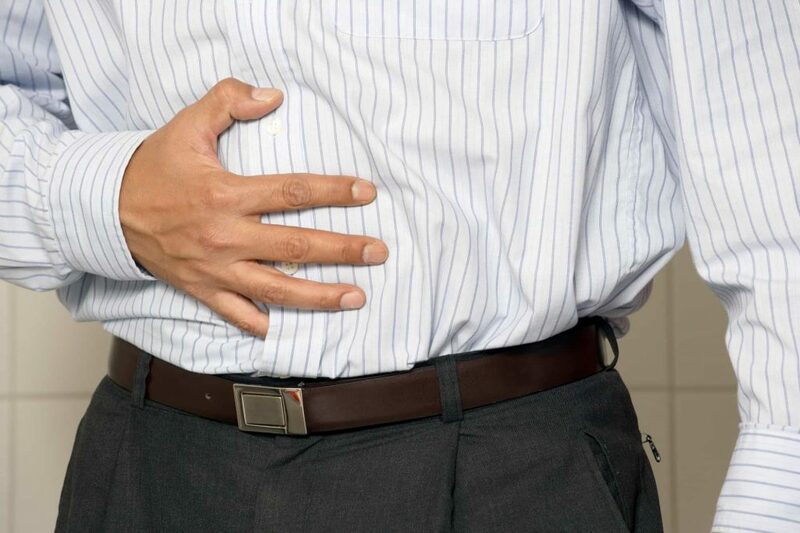 Some people also have food allergies or sensitivities, unknown to them, and this can cause intestinal inflammation which in turn causes intestinal hyperpermeability, commonly known as “leaky gut”. The lining of the intestines have tiny holes (called tight junctions) in them that digested food particles pass through into our blood and that is how we get nutrients. When inflamed, these tight junctions become enlarged and larger food particles and toxins that were never supposed to get into the blood pass into our blood vessels. This sets off an entire cascade of events in our immune system because the body thinks these larger particles are foreign invaders. Symptoms such as allergies, asthma, skin rashes or hives can manifest. Leaky gut also increases the risk of developing an autoimmune disorder such as lupus, Hashimoto’s thyroiditis, psoriasis, rheumatoid arthritis, Sjögren’s syndrome, and many more. If you experience allergy symptoms, frequent illnesses, or autoimmune disorders, it’s time to explore your gut as a root cause. Set up an appointment today with Julian Healthcare and let’s find out how we can help you live your best life. You can reach us at 765-530-8008. Previous Post Hope for Fibromyalgia Next Post Are Your Hormones Holding You Back?